Yeah,I did that in both directions and it seemed pretty clear. Will try again this weekend (weather permitting) to see if I can get rid of any airlock. Once had an airlock in a Hillman imp. Engine at back heater matrix at front - nightmare. 1. squeeze hoses and listen - if you can hear "squelching" noises there is air in there = airlock. 2. Try carefully clamping the pump outlet pipe just after the tee off for the heater to force all the pump pressure thro heater. Do it cold when thermostat is closed. 3. you should check thermostat is working correctly - they do fail open sometimes i which case all the flow will go through the radiator reducing pressure for the heater. 4. lastly - unlikely - water pumps do loose efficiency with age if the blades are eroded. All the Smiths round heaters had inlet and outlet adjacent and at same level. They relied on water pump typically taking hot feed from cylinder head often with dedicated union at rear of head to shorten pipe run. This feed was via manual gate valve in engine bay or cable operated eqivalent to allow control within vehicle. Return was to pump inlet. I note mine has a T piece at the outlet with short pipe and bung to allow bleeding. Thank you. Like the idea of making t-piece bleeder. Will try one of those. I remember driving home from a swimming session many years ago in my IIa and suddenly wondering why my left foot felt hot, and damp. The heater matrix had sprung a pinhole leak - an almost imperceptible fine jet of water was heading across the cabin onto my left foot! All the S2 diesels had hand throttles Graham. Essential for PTO and useful when engine very cold. Ironically mine started life as a petrol so conversion must have been very complete although it was a petrol option. Ah, OK. Mine was a petrol. Learn something new - haven't noticed it in the history books. First diesel LR I drove was an SIII - no hand throttle. Had a PTO winch on my 127" (V8 originally) - one person in driver's seat for winching. I have seen the hand throttle for SIII, we did try to fit one to the IIa, but completely different. 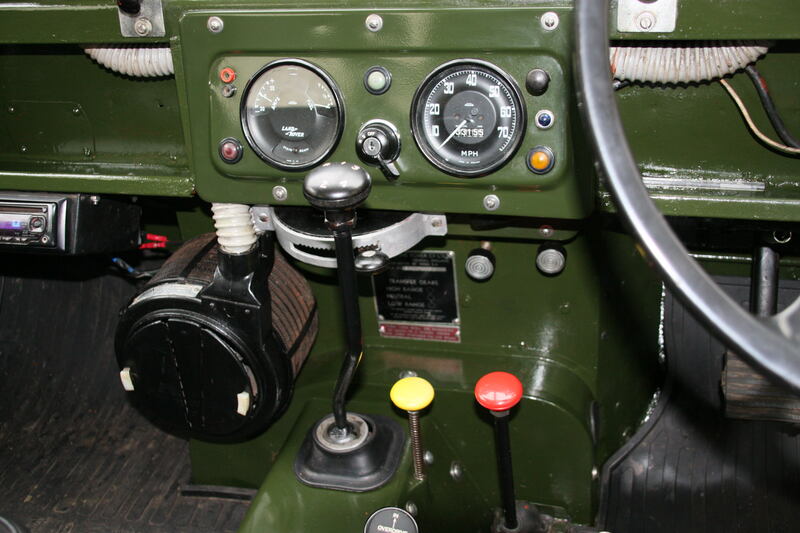 I had a hand throttle in my '62 S2A - that was a petrol, but had been converted from diesel. My 1978 SIII Diesel had a hand throttle. Did try using it on the road once. Decided very quickly that this wasn't the best idea I had ever had. Finally decided to ditch the Smiths Heater and have gone for an aftermarket one. Got it from eBay as it's the exact same model that car builder solutions are selling, just 25% cheaper (even after their 10% discount and free delivery offer). May have to make up some brackets to fit it, but should be fairly straight forward fit. Hopefully will stop the Mrs complaining about the cold!